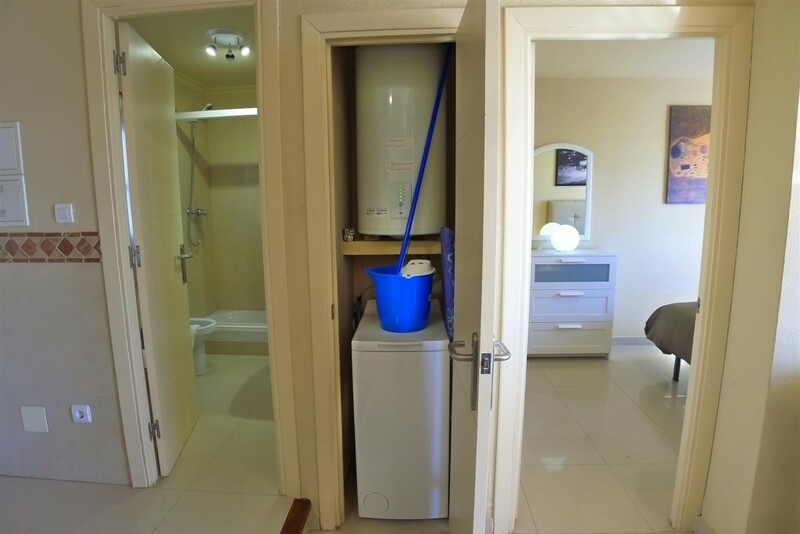 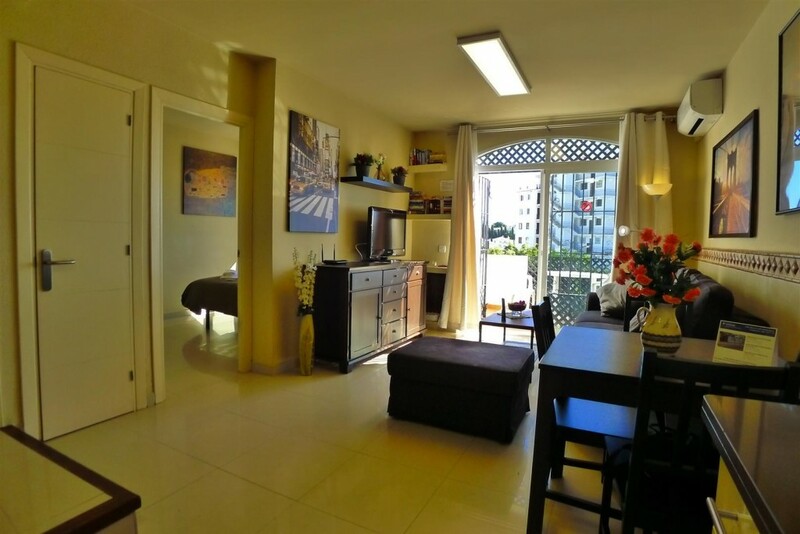 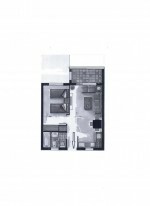 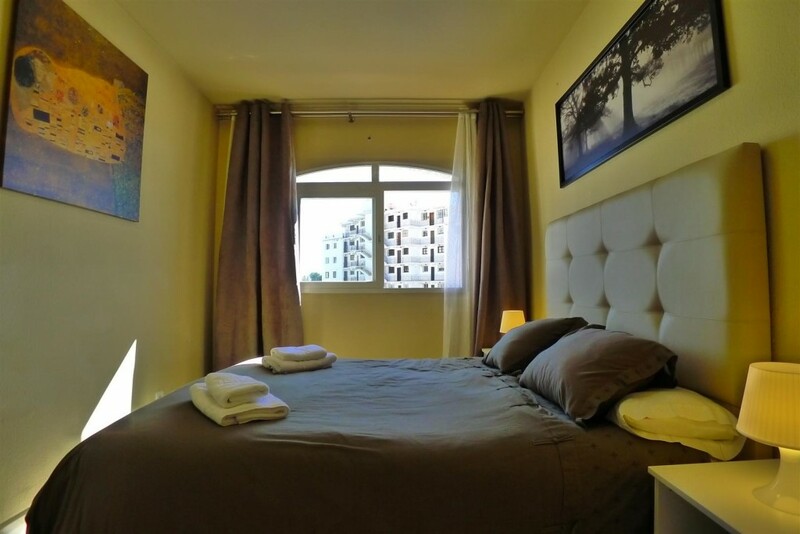 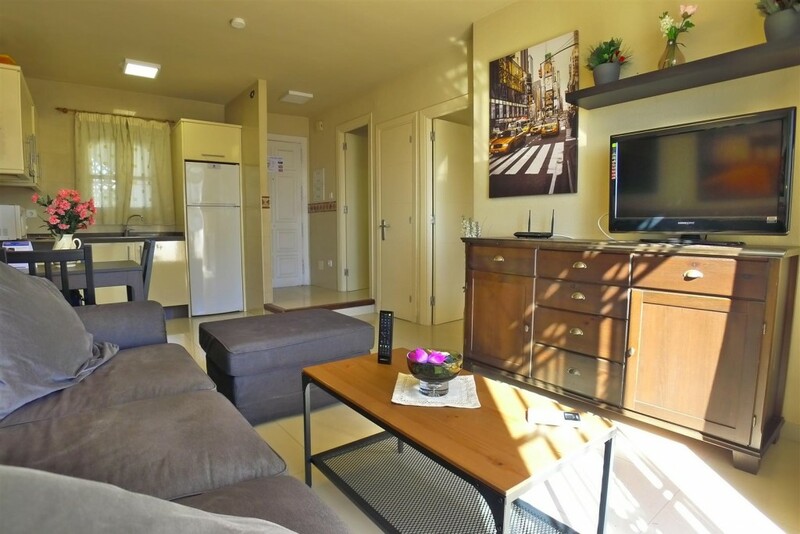 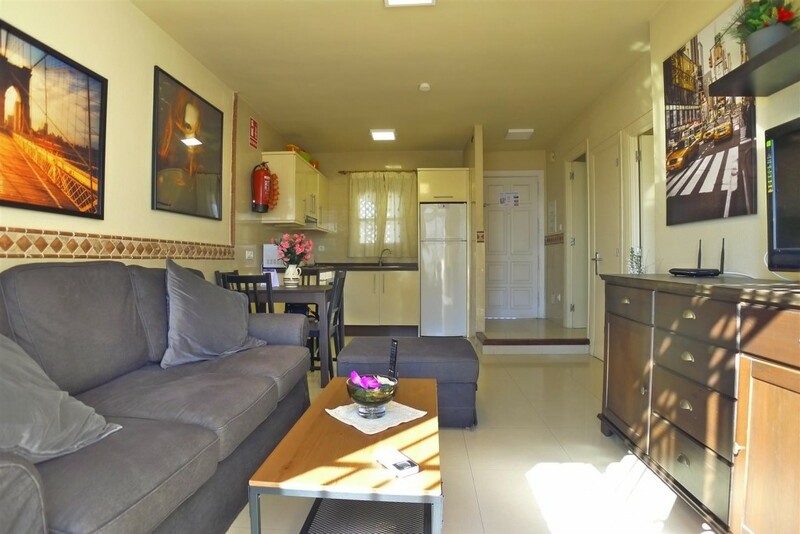 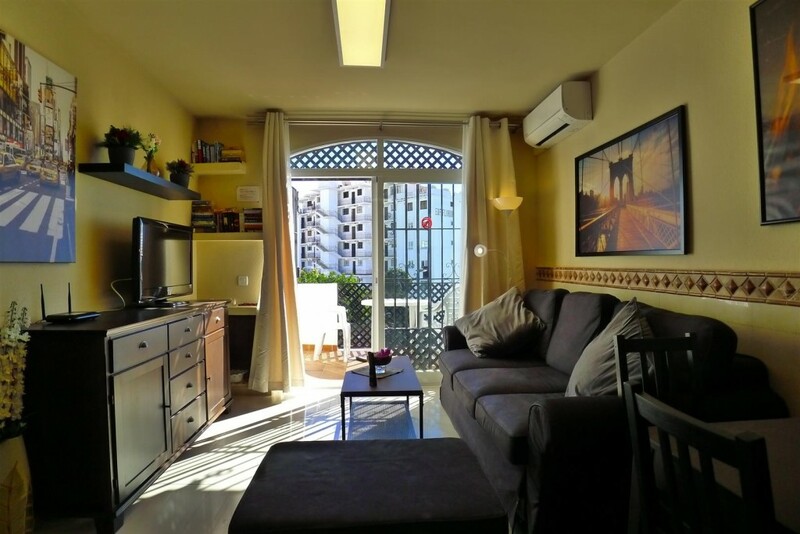 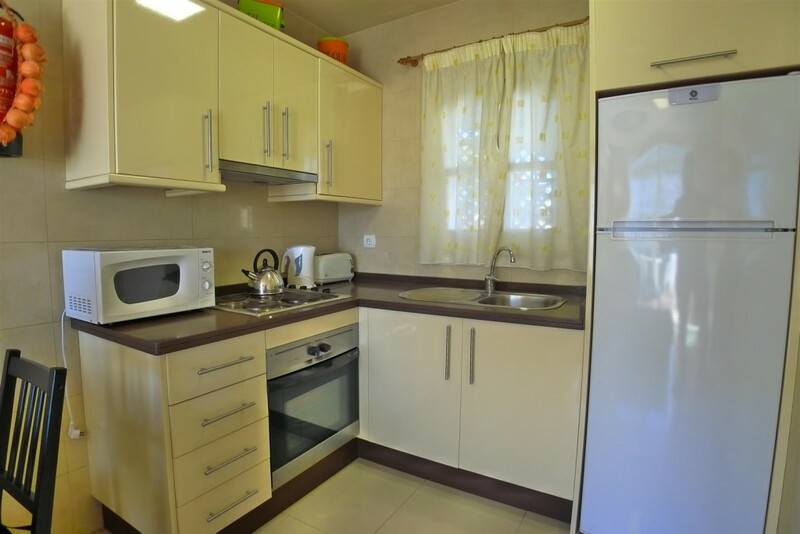 1 bedroom apartment located in Urb. 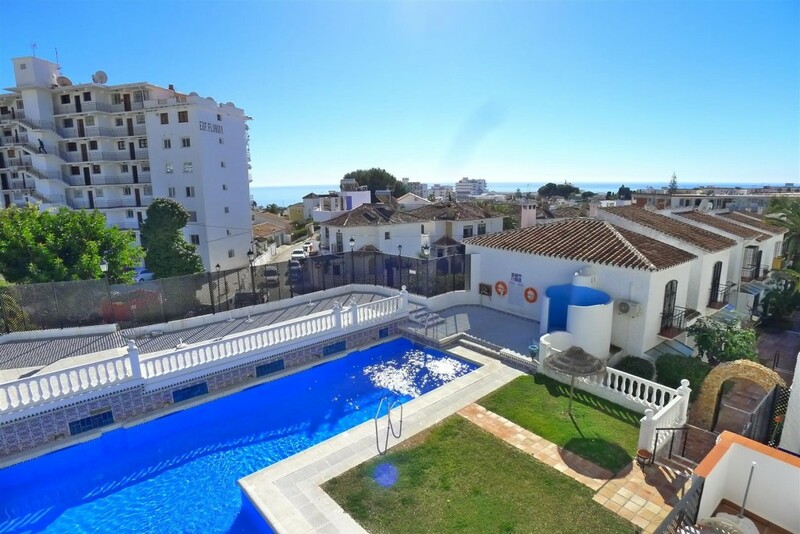 Verano Azul with terrace, community pool 5 minutes walk from the center and 500 meters from Burriana Beach. 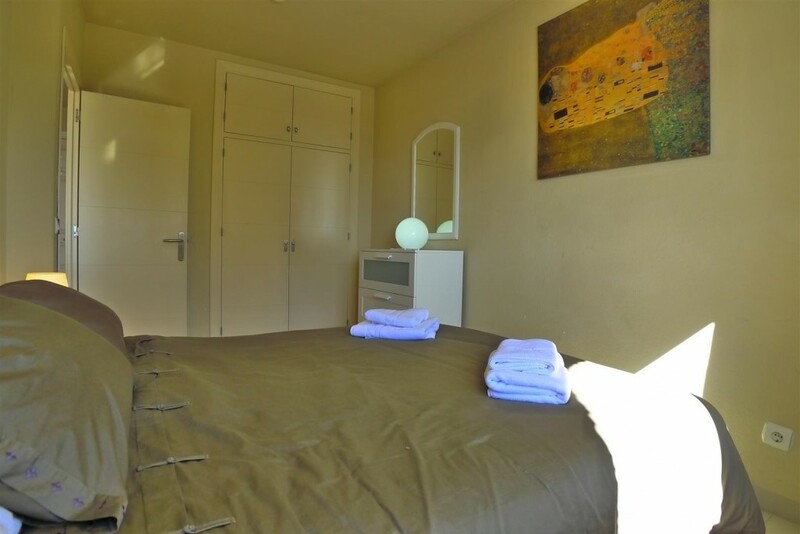 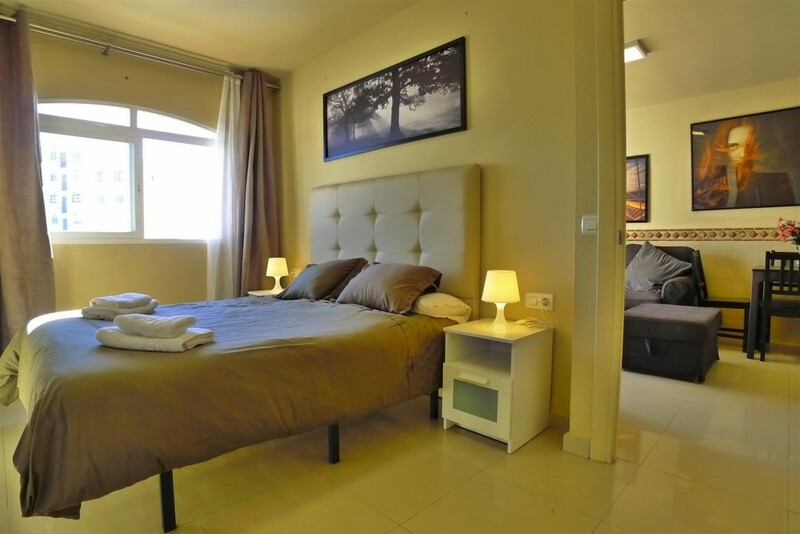 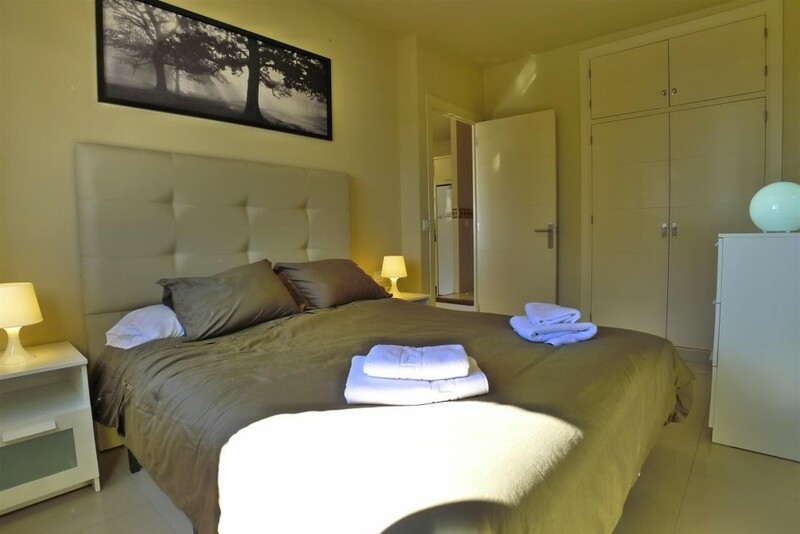 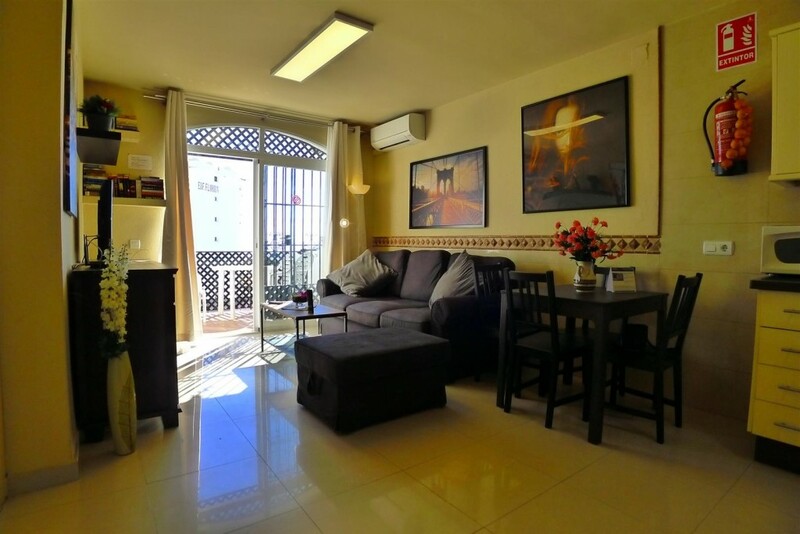 The apartment located in the well-known and prestigious Urb. 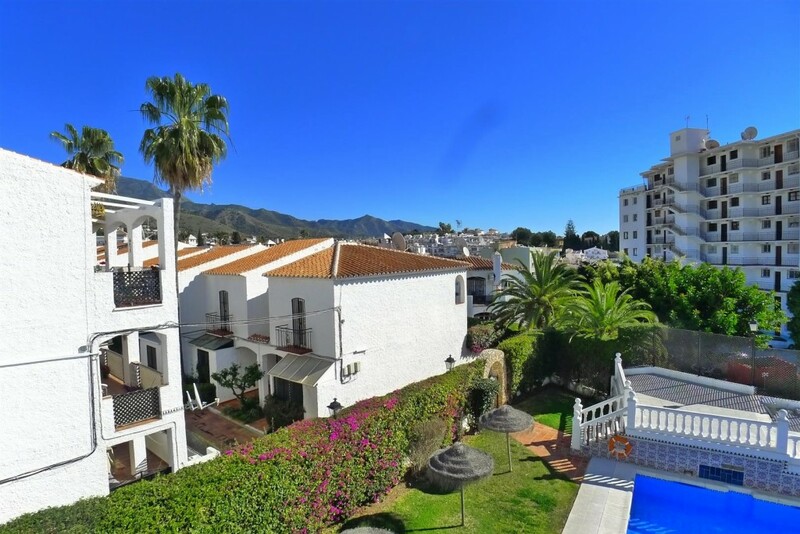 Verano Azul, with beautiful and well-kept gardens. 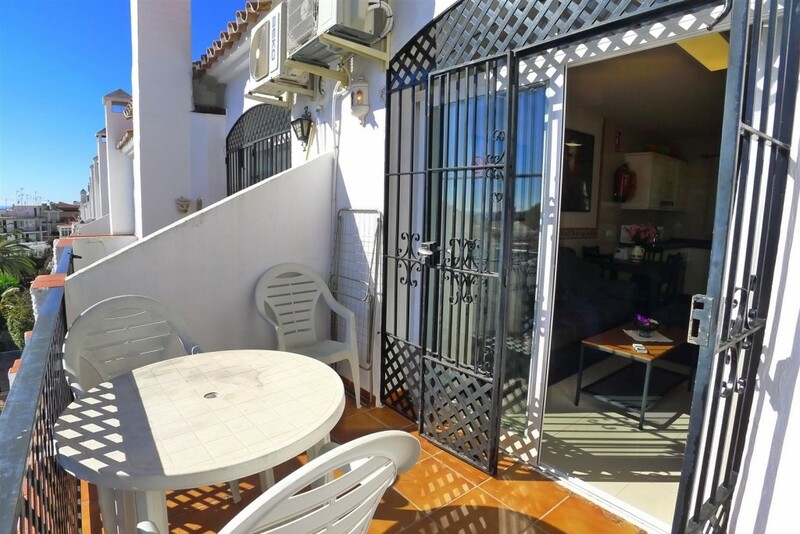 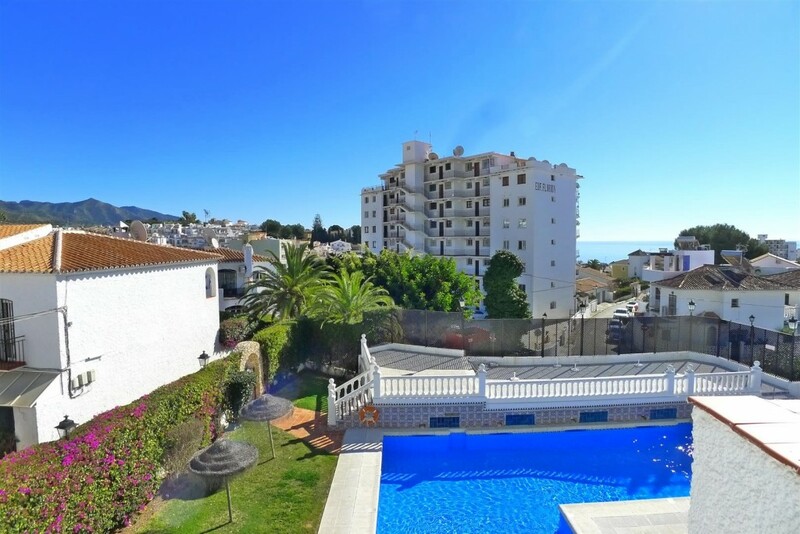 It has two community pools and is just 10 minutes walk from the famous Burriana beach. 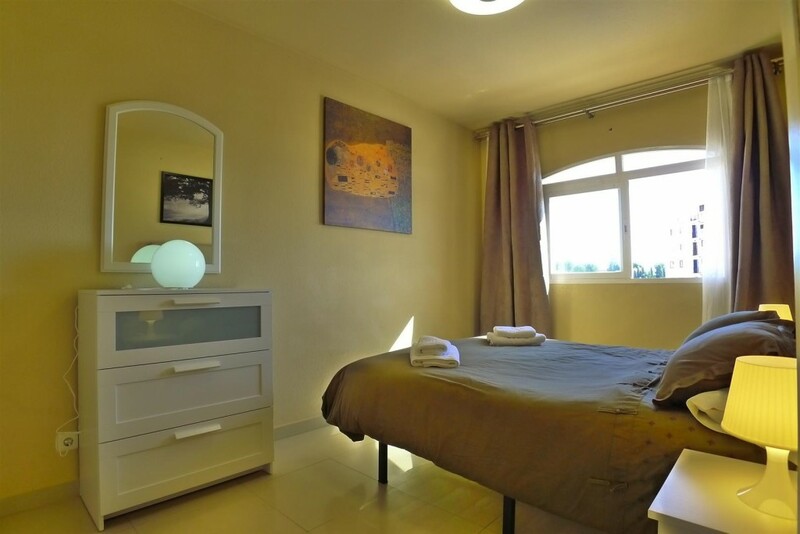 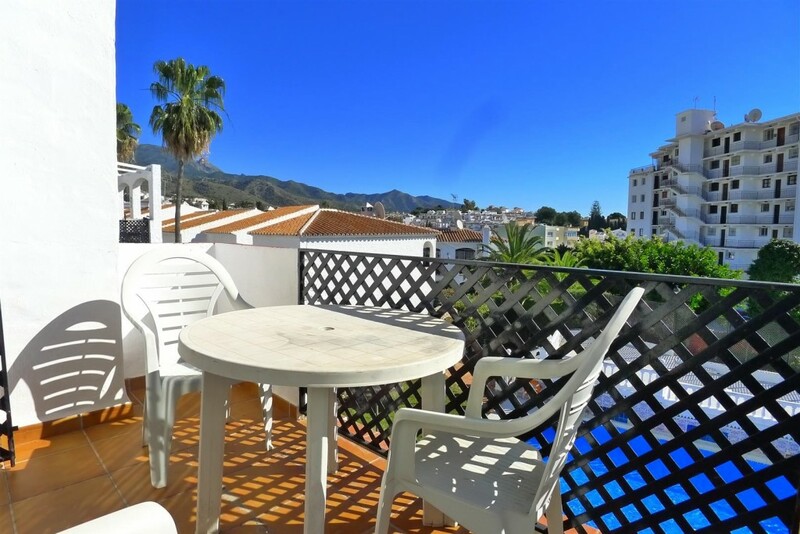 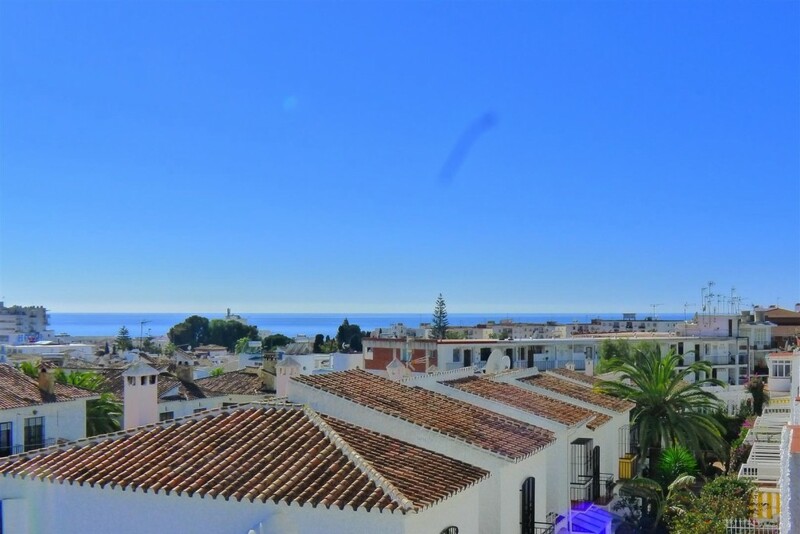 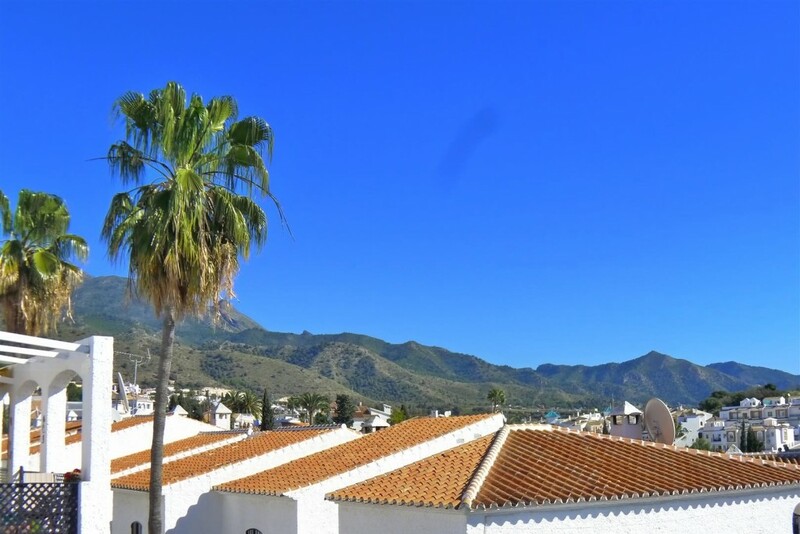 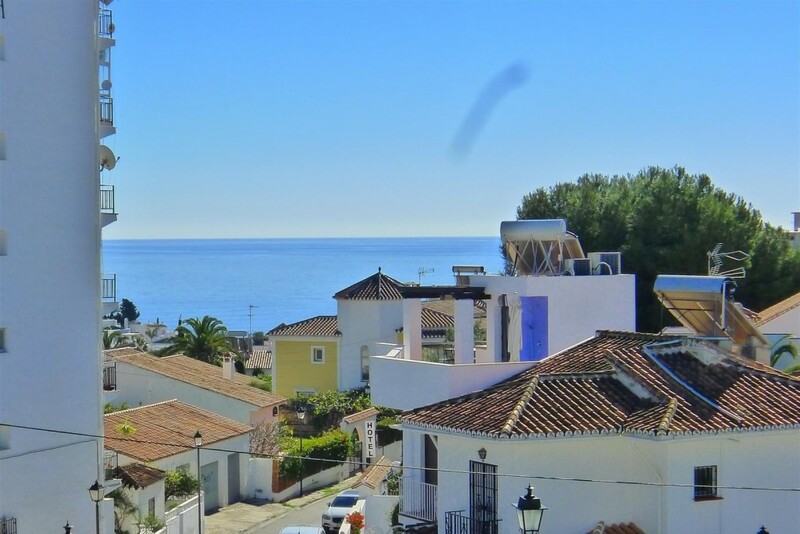 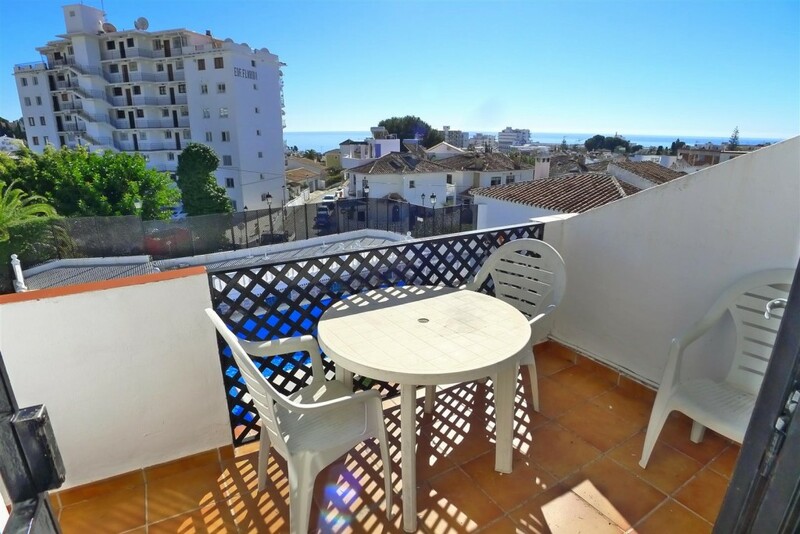 With a privileged location it is 5 minutes walk from the center of Nerja. 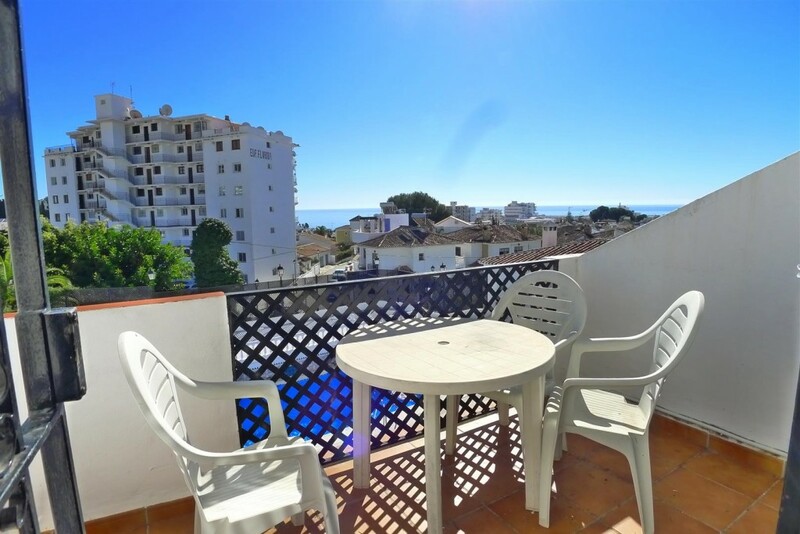 This apartment is on the second floor so it has wonderful views of the sea, mountains and pools. 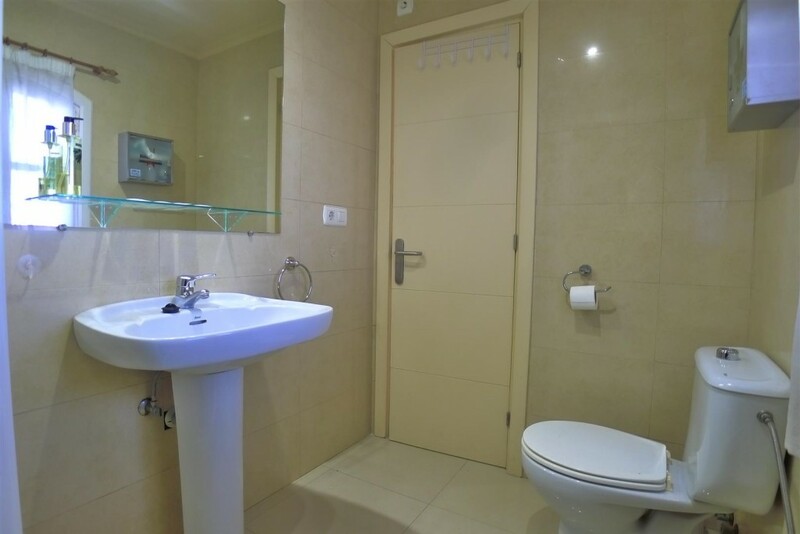 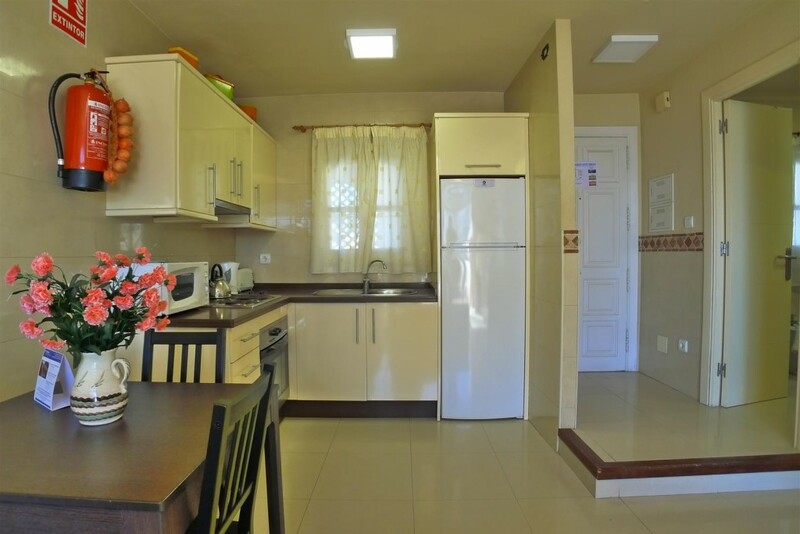 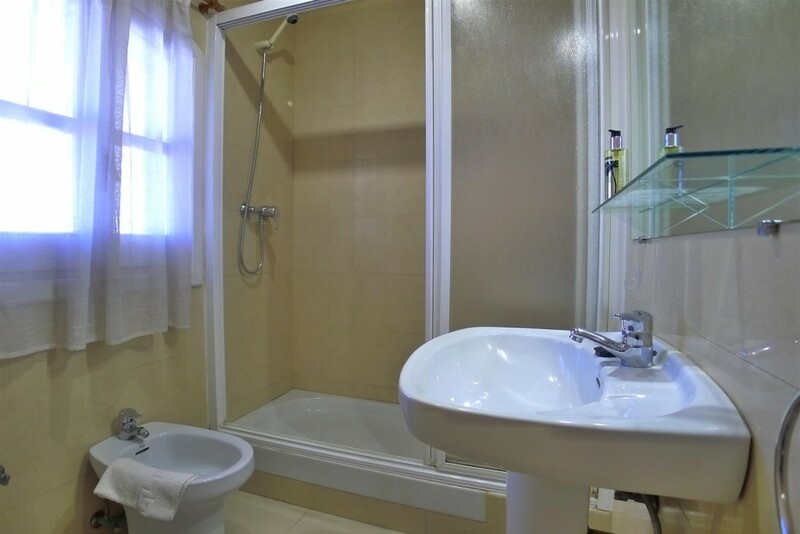 It is decorated in modern style and has 1 bedroom, 1 bathroom with shower, 1 open kitchen and living room. 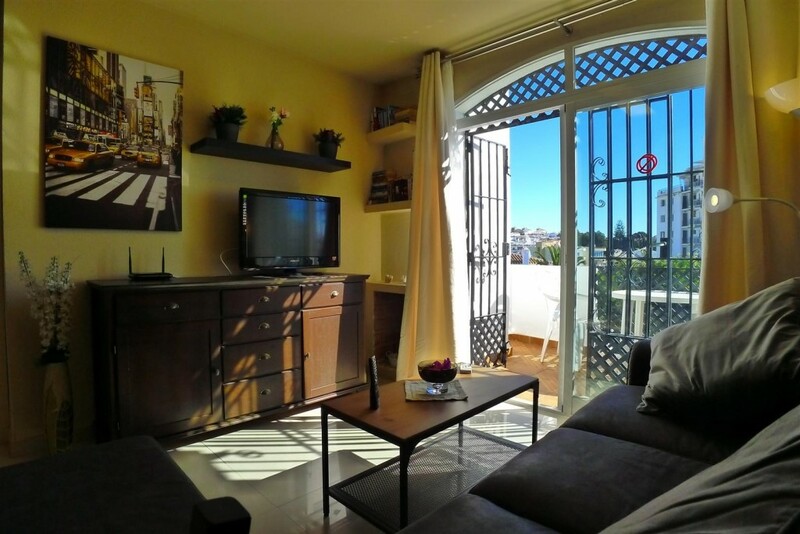 The living room has access to a beautiful terrace facing south and sun all day.